Seller Lennard1 assumes all responsibility for the listing and deleting of this ad. Incredible deal. 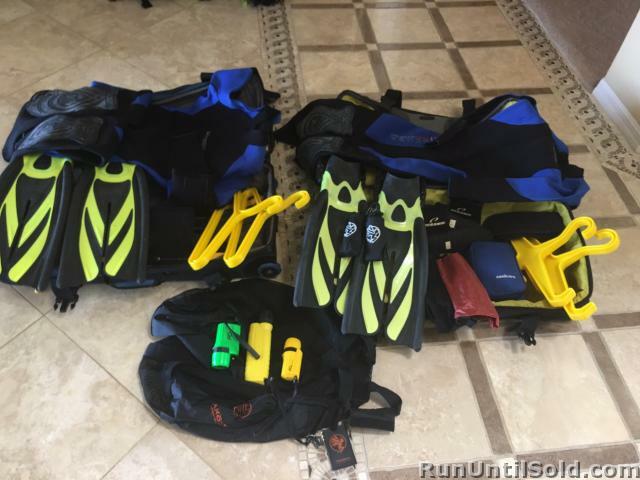 Two full sets of mens and Ladies scuba gear. 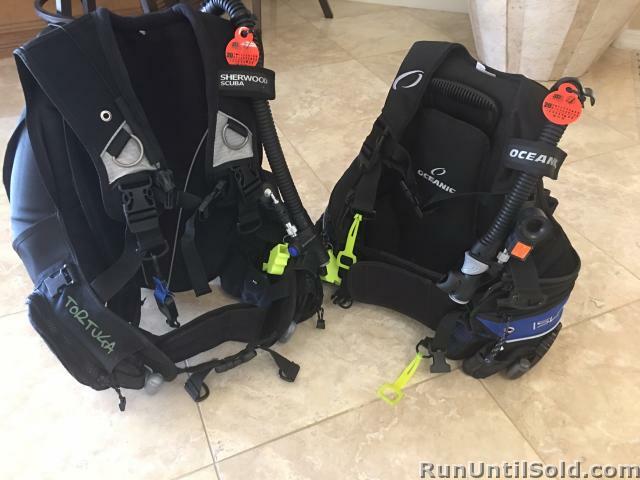 BCDs and regulators have just been refurbished and certified. Receipt will be provided. 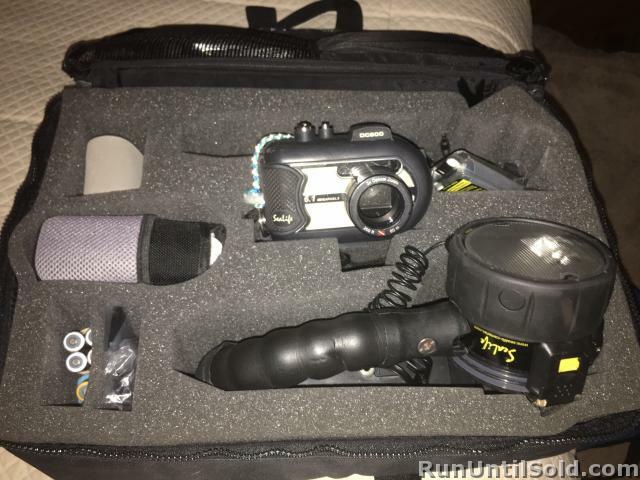 Includes underwater camera Sea Life Elite with case and light. 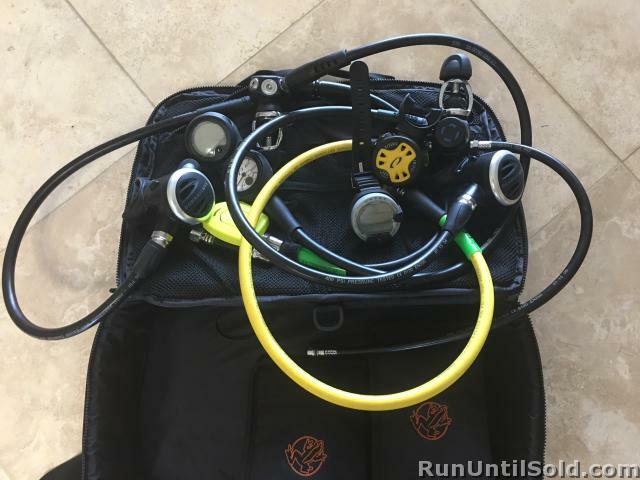 and rolling bags for gear and Akona bag for regulator. Also include Sonic Care Ear dryer. : Ladies Tusa Fins neon yellow and black size 6-7 Ladies Oceanic botties Size 6-7 Ladies XS 3 ml wet suit size 8-10 Blue and Black Ladies Oceanic BCD Isla Size medium with extender Blue and Black Oceanic Delta regulator with attached computer Sunoto Wrist computer Mens Tusa expert Zoom fins size 9-10 Black and Neon yellow Mens deep sea booties size 10 Mens XS Scuba wet suit 3 ml size med-large Mens BCD Sherwood Tortuga Size medium BCD and Wet suit hangers All these items are in great condition and most look like new. They have been well cared for and just refurbished and certified for $600.00 . We would like to see someone get a great deal.